The last night's episode of the reality show saw the end of the luxury budget task in which the housemates lost because they weren't able to come to a conclusion in the case. After that happened the captaincy task in which the daily doze of fights and drama was given by the contestants. Bigg Boss also introduced a task in which the contenders have to fight for captaincy. For those who missed the last night's episode of the reality show, here are the highlights of the show in the form of 5 catch points that will make you aware about the show. 1. Hina was seen crying on the happenings of the house and said that she is loosing her strength in the game. 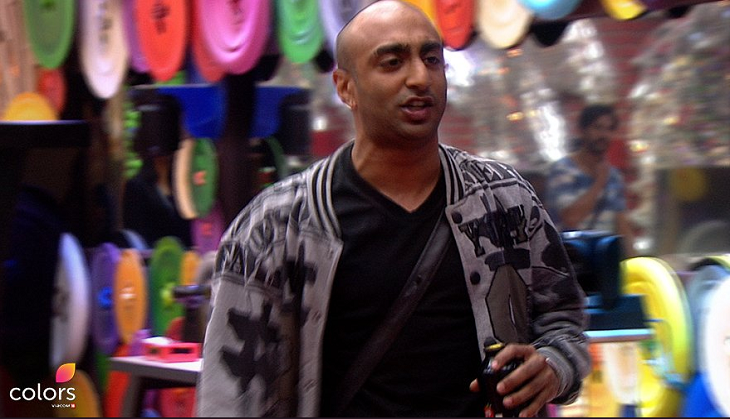 Vikas is seen explaining to Sapna that she was not right and is not playing safe in the game. Shilpa praised Vikas and said that on one hand a girl is insulting a girl and on the other hand a boy is trying to protect her respect. 2. Bigg Boss asked Sapna and Bandgi for their decission but that led to an argument between Sapna and Puneesh after which she was called illiterate. Sapna and Bandgi were unable to come to a decission and Bigg Boss announced that the luxury budget has become zero. 3. Hiten switched his team as was seen chilling with Vikas, Arshi, Puneesh and others. Other day, Akash asked everyone to make him the captain this time. Bigg Boss announced to choose five contestants who performed well in the task. Everyone finally chose Arshi, Hiten, Vikas and Shilpa. The housemates have a chance to end someone's run to be a captain. Who will it be? Find out only on #BB11! 4. According to the captaincy task, the picture placards of these five contestants will be placed in the garden area and others have to eliminate the one they don't want as the captain by spraying paint on their face. 5. Akash was seen getting too excited for the captaincy and was sure that his friend Puneesh will save him but Puneesh, on the other hand have some different plans this time. For more news related to Bigg Boss 11, stay updated!